Footprint: 10" x 4" | Height: 21"
The BH-2000 is a unique design HOB skimmer in that the pump is mounted external and under the actual skimmer body allowing for much less room needed behind the aquarium. Also by placing the pump outside the skimmer and the aquarium there is no heat exchanged to the water. This design also allows for easy removal of the pump for cleaning and maintenance. 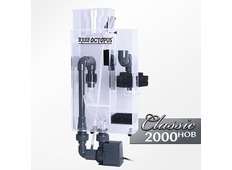 The Reef Octopus® skimmers are powered by the efficient Aquatrance 2000s pinwheel pump. They are built with high quality acrylic. 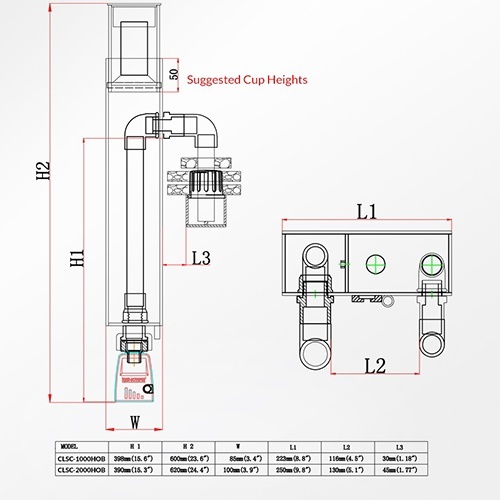 The Octopus skimmers uses metric plumbing parts. The pump has an improved venturi design and pinwheel impeller. 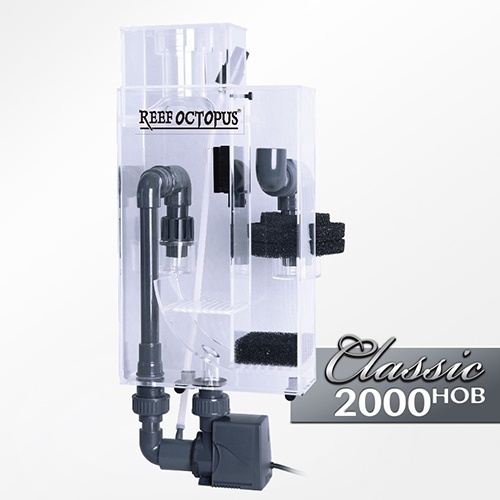 Dimensions: 4.5" x 2.4" x 3.6"
Reef Octopus can not be responsible for consequential damages arising from installation or use of this product. Reef Octopus warrants the pump to be free from defects in material and workmanship under normal use and conditions for the warranty period from the date of purchase. CoralVue liability under this warranty shall be limited to repairing or replacing at CoralVue’s discretion, without charge.